(SAVANNAH, GA) This July, Girl Scouts from around the country will once again travel to historic Savannah for an adventure unlike any other. Girl Scouts of Historic Georgia (GSHG) is hosting QuestFest, a weekend of fun adventure, challenges and entertainment from July 12-15, in the historic home of Girl Scouting. Last year, there was over 1,000 Girl Scouts in attendance. The “Quest” in QuestFest stands for the main event – a scavenger hunt of epic proportion through the Historic District of Savannah. Teams of 10-15 will set out once again in search of an experience, rather than an item. Using a smartphone app, teams will choose from a list of challenges, and submit a photo or video via the QuestFest app as evidence of their accomplishment. Whether they’re competing for fun or aiming to earn a cash prize, all teams will participate in a massive “Quest” to find items, do good deeds and give back to the community. Our rousing weekend of fun and friends will also include additional events like a movie night, a dinner cruise down the Savannah River, an unforgettable Bridging Ceremony, a ghost tour (on Friday the 13th! ), a Girl Scout expo and a live concert at the Savannah Civic Center. GSHG Chief Executive Officer Sue Else and a participating Girl Scout from the Savannah area are available to share exciting news about QuestFest 2018, and how this event allows girls to showcase her inner G.I.R.L. (Go-getter, Innovator, Risk-taker, Leader) TM. Prior to the 1950’s, making a phone call without the assistance of an operator was unheard of. In order to make a call you had to wait on hold until an operator connected you to your party. After the introduction of the North American Numbering Plan in the United States, and similar systems in Europe, we have been able to direct dial anyone we wish to call. Despite this, waiting on hold is still very much a part of our lives. Time magazine reports that a survey commissioned by TalkTo found that Americans spend 13 hours per year on hold. Being on hold is now an unwelcome interruption during most customer service calls. Here are some considerations to ensure your customers remain on the line. Ideally, you will answers all calls live, however, not every business can do this. If you use an auto attendant, make sure your customers can reach a person after one or two menus. This will improve their opinion of your customer service. Hold music has the benefit of easing a customer’s frustration while also making their wait-time seem shorter. Pick hold music that reflects your brand, is relatable to your customers, and is updated regularly. Be aware that you cannot use a radio station or streaming music service for your hold music. You will be required to comply with ASCAP regulations and possibly pay licensing fees. Your phone system may come with pre-programmed hold music, however music that is too simple and generic may not keep your customers on the line. Hold messages offer you an opportunity to educate new and existing customers about products, services, and specials. Surveys have shown that 88% of callers prefer messages on hold to any other hold option, with 16–20% of those callers making a purchase based on those messages. Utilizing hold messages can be appropriate for any business that provides goods or services to customers at their home or business, in store, through phone orders, or online. You can arrange to have custom messages on hold created for your business through your phone system provider. Having a hold strategy is important, but some businesses place their customers on hold to complete silence. According to recent surveys, 55% of callers placed on a silent hold hung up. You should also avoid using the ubiquitous “your call is important to us” message. This will challenge your credibility if customers experience long hold times. Finally, don’t interrupt your music on hold with messages. If you wish to use a combination of messages and music, make sure your messages play during a transition. Remember, being kept on hold is an annoying inconvenience for customers. Whether you need to look up information related to their account, toggle between another call, or transfer them to another party, try to keep their time on hold as brief and productive as possible. The General Data Protection Regulation (GDPR) recently went into effect across the European Union (EU). The GDPR is a data privacy law that gives citizens of the EU far more control over their personal data and requires businesses to keep all such data private, safe and protected. This law was passed in response to the Cambridge Analytica scandal in which the private personal data of millions of people was sold to England’s “Leave the EU” campaign and Donald Trump’s presidential campaign in 2016. Any company that collects data on people who live in the EU must follow the new regulations, no matter where the company is based. That means that if you own a company in Savannah but sell to a European customer, you are subject to the new GDPR privacy rules. To better ensure privacy and protection, companies must now procure their customer’s actual consent in order to store their personal information. This request for consent must be clear and written in plain language (rather than buried in 50 pages of terms and conditions). Any company that does not obtain this explicit consent may only store a customer’s personal data if they can prove they have a “lawful basis” for doing so such as a contract or other legal obligation. What this means in practical terms is businesses will have to pay a lot more attention to the security of their customers’ personal data and they will not be allowed to hold onto it for any longer than necessary. Also, anyone can ask for their personal information to be deleted from a company’s servers at any time. Any company found to be in violation of these new rules will face huge financial penalties. Large companies can be fined up to 4 percent of their annual global sales, which can run into billions of dollars. Even small companies can be fined up to $23.5 million. The GDPR was designed to protect consumers due to the large number of cyber attacks and data leaks over the past few years. And despite the fact it is a European law, given the global reach of the internet, it has been estimated that 92 percent of American businesses will be affected. There currently are no plans to expand the provisions of GDPR to the United States, but many experts believe that given the almost daily occurrence of large scale data hacks, it’s only a matter of time until such protections are extended worldwide. It will be interesting to see how effective the EU’s monitoring of the GDPR is over the next several months and how aggressively violators are prosecuted. It seems clear, however, that data breaches and mishandling of personal customer information will be a lot costlier. Despite the effort it will take to understand, implement and enforce the GDPR, it is hard to deny some type of action must be taken. Anyone who has ever shopped for a product on Amazon and then immediately seen an ad for the same product on Facebook knows how creepy and invasive the internet’s targeted advertising technology can be. The National Security Agency can use that same system to seamlessly track almost anyone in the United States, and political firms such as Cambridge Analytica can use it to secretly single out political subgroups and sell that data. Hopefully, the GDPR is a good start in restoring a bit of privacy to the worldwide web, but it’s just the first step of a long process. (SAVANNAH, GA) The fourth annual Kids & Pros No-Contact Football Camps will be held at two locations in the Savannah area. The first camp will be held on Monday, July 23 and Tuesday, July 24 at Calvary Day School, located at 4625 Waters Ave, Savannah, GA 31404. The second camp will be held on Wednesday, July 25 and Thursday, July 26 at Pooler Recreation Park, located at 900 S Rogers St, Pooler, GA 31322. Kids & Pros, started by NFL alumni Bobby Butler and Buddy Curry in 2002, is a 501©3 nonprofit grounded in five core life principles called Game Changers for Life: Sportsmanship, Teamwork, Integrity, Perseverance and Excellence. The coaches (one for every 10 kids) include former NFL players, college players and local high school and youth coaches. Kids & Pros offers the only free, character-based, non-contact football skills camp in the area. Founder and executive director Buddy Curry, a former Atlanta Falcons player, will be on hand to share coaching tips and encourage players’ motivation. Kids & Pros highlights on-the-field football instruction as the program teaches football fundamentals and safety techniques and integrates the Game Changers for Life in each component of the clinic. It also offers players guidance on proper nutrition and healthy lifestyle choices. The camps run from 6-9 p.m. each day and are open to kids of all skill levels from ages 7-13. In addition to three hours of instruction each day, a Parent Info Session will be held the first day of each camp from 6:20-7:20 pm. Sponsors for this year’s camp include Chatham Orthopedics, J.C. Lewis Ford, GenCapital, The Dewitt Tilton Group, Byrd Cookie Company, Neurological & Spine Institute, Memorial Health University Medical Center, SunTrust Bank, Oliver Maner, LLP, Hussey Gay Bell, Walmart and Enviro Vac Industrial Services. For more information on Kids & Pros, visit https://www.kidsandpros.com. Kids & Pros, Inc. is a non-profit organization, started in 2002 by former Atlanta Falcons Bobby Butler and Buddy Curry to teach character and skills through athletics. Kids and Pros will celebrate its 17th Summer Camp season, providing weekly youth football camps, clinics and football safety training across the country including: Lee County, GA, Houston County, GA, Birmingham, AL, Louisville, KY, Lynchburg, VA, Stafford, VA, Huntsville, AL, Chantilly, VA, Hampton, GA, Bozeman, MT, Charlotte, NC, Knoxville, TN, Chattanooga, TN, Norcross, GA, Coweta County, GA, Danville, VA, Canton, NC, Bluffton, SC, Savannah, GA, Sylva, NC, Chastain Park, GA. For more information on Kids & Pros, Inc., please log onto our website at www.kidsandpros.com, follow us on twitter @kidsandpros, or connect with us on Facebook at Kids & Pros, Inc.
(SAVANNAH, GA) Leadership Southeast Georgia, a leadership development program for professionals in a 10-county region, is calling for nominations for its 2019 course. The deadline to nominate is Friday, Aug. 3. Applicants may be nominated by Leadership Southeast Georgia alumni or regional leaders, or they may self-nominate. Residents of Bryan, Bulloch, Camden, Chatham, Effingham, Glynn, Liberty, Long, McIntosh and Screven counties are eligible. Nominations may be submitted on the Leadership Southeast Georgia website (www.lsega.com). (SAVANNAH, GA) Dr. Angela Canfield of Sandfly Family Dental will be at the second lecture of the 2018 Encourage Health Education series on Tuesday, June 26, performing free health screenings for all attendees. 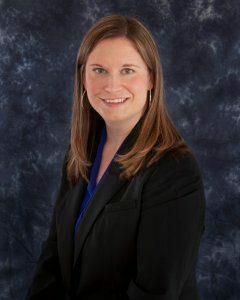 For more information on Dr. Canfield, please visit http://www.sandflyfamilydental.com/ For more information on the Encourage Health Education series, please visit www.healthysavannah.org or www.enmarket.com. (STATESBORO, GA) The UGA Small Business Development Center at Georgia Southern University in Statesboro, will host QuickBooks Online Tuesday, July 24 from 9am – 4pm. Cost $169. Visit www.georgiasbdc.org/southern or call 912-651-3200 for more info. (SAVANNAH, GA) Megyn Jefferson, CEO and Health Coach of Flux Nourishment, will present a free lunchtime lecture on Tuesday, June 26, during the second of four 2018 Encourage Health Education Series events in Savannah. 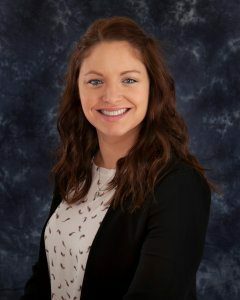 Jefferson will speak on “Cornerstones of Healthy Living,” which looks at simple lifestyle changes that lead to a fulfilled life above the line of wellness. Registration has been filled for this presentation, but the lecture will be livestreamed on Healthy Savannah and the Enmarket Facebook pages. For more information, please visit www.healthysavannah.org or www.enmarket.com. (SAVANNAH, GA) SCORE will present a key workshop on the planning factors and timing sequence necessary to successfully sell or transfer a small business. The workshop will be on June 28 from 11:30 a.m. to 1:00 p.m. at the SCORE office, 111 E. Liberty St. Savannah. Call (912)-652-4335 to register. (SAVANNAH, GA) Bitty & Beau’s, a Wilmington, North Carolina based coffee shop is expanding into the Hostess City. 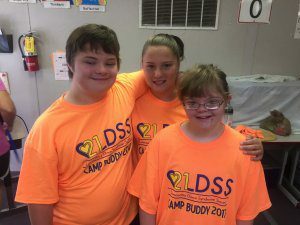 Founder Amy Wright named the shop after her two children who have Down syndrome. The mission of the organization is to employ those with Intellectual and Developmental Disabilities (IDD) including Down syndrome, autism, Cerebral palsy, and more. The goal is to employ 20 people at the Savannah location, a majority of those will be people with IDD. Visit http://www.wsav.com/news/local-news/more-than-a-cup-of-joe-bitty-beaus-is-coming-to-savannah/1240270216 to view the full story on WSAV. 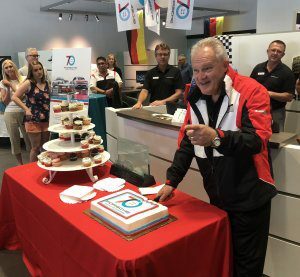 Katie Davis, Kole Management Co.
Hannah Moore, Kole Management Co.
Roy Stine, the General Manager of Porsche of Hilton Head, cuts the 70th birthday cake. (SAVANNAH, GA) The 15th annual Robbie Smith Golf Outing benefiting not-for-profit Hospice Savannah, Inc. will be held on Saturday, August 11, 2018 at The Club at Savannah Harbor. Robbie Smith was a vibrant, fun, sports-loving young man who was diagnosed with brain cancer in 1992. For fifteen years his family and friends have organized a fun-filled day of golf in his memory and in gratitude for the care provided by Hospice Savannah during the last months of his life. This year’s outing has a 9:00 a.m. shotgun start with a four-man scramble (captain’s choice) format. $100 per person includes lunch, prizes, and beverages on the course; $125 per person also includes two Mulligans, one raffle ticket, Tee Buster on Hole 14, Eagle Putt on Hole 7, and a “Fantasy” scratch-off card for a chance to win a complimentary round of golf. Players may register at www.RobbieGolf.com/register or call Kevin Ainsworth at 912-655-1933. Proceeds will help sustain the life-enriching programs and services of Hospice Savannah, Inc.
(SAVANNAH, GA) Bull Street Taco has selected Park Place Outreach as the June non-profit for Taco Tuesdays. Every Tuesday in June, Bull Street Taco, 1608 Bull Street, will feature a special menu from which a portion of the proceeds will be donated to Park Place Outreach, a temporary residential shelter for runaway, homeless, and at-risk youth ages 11-17. Follow this link https://www.facebook.com/events/625341961142718/ for more information on Taco Tuesdays. With data security becoming more and more of a concern, the General Data Protection Regulations (GDPR) being implemented in the European Union is sure to become the precedent for other countries, like the United States. Your company can use GDPR as an advantage by becoming compliant with these regulations as soon as possible. By adopting these regulations, you will show your customers that you value their privacy and security. In turn, your customers will trust you. Here are a few quick ways you can get ahead of the competition. A Single Socket Layer, or SSL certificate, is a small file that you put into your website. It makes all your content secure between servers, can help your Google search engine optimization (SEO), and help build trust with your customers. The SSL certificate provides the “padlock” symbol that you often see in web browsers and the “https://” in front of your domain name. When your customers see this, they know that your website is secure. If you plan on using email addresses for social media marketing lists you must make users aware. They have to willingly opt into the social media marketing and you must provide them with an easy method to opt-out. Input forms on your website cannot have prefilled form fields. This is considered implied consent. Your forms must be clear and allow your website visitors to give explicit consent for each type of processing. The user must give their consent freely for everything they are opting into. Lastly, you must notify users of any data breach that takes place within 72 hours. Furthermore, if the breach puts users’ freedoms and rights at risk, then the Information Commissioners Office website must also be notified. Ultimately you want to get ahead of the competition and comply with the regulations of GDPR as it will quickly become the standard. By doing so you will build trust with your customers and build your company’s reputation as a trusted source. 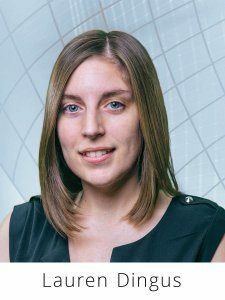 Lauren Dingus is the Director of Web and Social Media Department at Speros, responsible for the website development division including high-end graphic design, integrated functionality and security components. For information, contact Dingus at ldingus@speros.com or 912.790.5117. (SAVANNAH, GA) Leadership Southeast Georgia, a leadership development program for professionals in a 10-county coastal region, is calling for nominations for its 2019 training course. The deadline for nominations is Friday, Aug. 3. The program fosters relationships among leaders in the region and teaches conflict resolution, self-awareness and critical thinking to improve business and communication skills. “This program attracts seasoned civic and business leaders from communities throughout Coastal Georgia as well as those who are poised to step into leadership positions across a variety of industries,” said Lee Beckmann, Manager of Governmental Affairs at the Georgia Ports Authority, a graduate of LSEGA and chairman of the board of directors. “We consider many factors during the selection process to ensure that each class reflects the diversity of the region we serve,” Beckmann said. Applicants may self-nominate or be nominated by Leadership Southeast Georgia alumni or community leaders. Residents of Bryan, Bulloch, Camden, Chatham, Effingham, Glynn, Liberty, Long, McIntosh and Screven counties are eligible. Nominations should be submitted on the Leadership Southeast Georgia website, www.lsega.com. The program is held over five weekends during a five-month period beginning in February and ending in June. Each session takes place in a different county. Since 2000, the program has produced sixteen graduating classes with over 300 graduates. The selection committee is comprised of Leadership Southeast Georgia alumni. For more information, visit http://www.lsega.com/home.html. (SAVANNAH, GA) For the third year in a row, The Oglethorpe Driving Club (ODC) announces plans to relocate their monthly “Cars and Coffee” meeting to Bethesda Academy, 9520 Ferguson Avenue, Savannah, GA 31406, on July 7th from 7 a.m. – 11 a.m. (rain or shine) to benefit their scholarship drive. On display will be the finest examples of classic, vintage and exotic cars from Savannah and surrounding areas. Donations will be accepted at the event from attendees, there will be a minimum $10.00 registration fee for participants with vehicles on display. All proceeds to benefit Bethesda Academy. Over the last two years, ODC has provided several fully funded scholarships for deserving Bethesda students. The ODC was formed in Savannah in 2006 to commemorate the 100th anniversary of the first United States Grand Prix, which was held in Savannah on November 26, 1908. It’s a 50 member cadre of sports car owners and enthusiasts dedicated to the use and enjoyment of sports cars and auto racing, ODC meetings typically host over 150 cars. 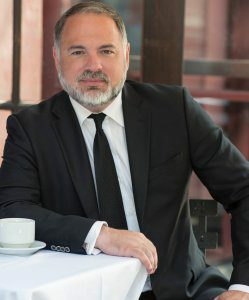 In addition to monthly “Cars and Coffee” meetings, the organization honors its predecessor, the Savannah Automobile Club of 1904, by sponsoring racing competitions, rallies, advanced driving courses, Savannah Speed Classic, the area’s largest Toy Drive each Christmas season and other social events. The ODC also works actively to advance the sport of motor racing in Savannah and to preserve Savannah’s illustrious auto racing heritage. (SAVANNAH, GA) Fifty-six young ladies from Chatham, Bryan, Liberty and Effingham Counties received a Leadership Award for completing the 2017-2018 Dawn’s Daughter Leadership Academy. A celebration to commemorate the accomplishment was held on June 2 at The Club at Savannah Harbor on Hutchinson Island. 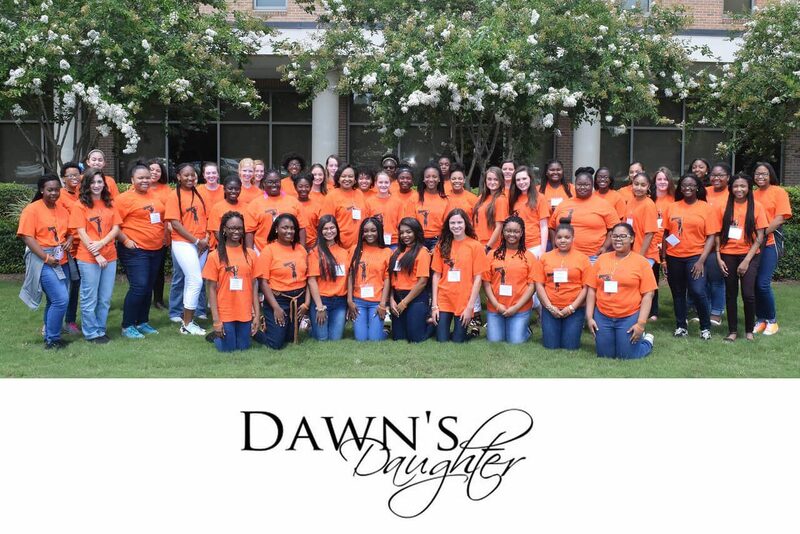 Dawn’s Daughter, Ltd. is a program dedicated to empowering high school girls of all backgrounds and abilities to set big goals and make positive life choices that will enable them to maximize their full potential. Dawn Baker, a news anchor at WTOC TV, founded the leadership academy with the vision of a world in which young women have clear paths and opportunities for finding their voices and learning the skills necessary to achieve their goals. During this year-long experience, participants learn about team-building, leadership styles, group dynamics, self-esteem and character building, managing finances and more. The academy is free and open to young ladies who are in the tenth and eleventh grades. As a nonprofit organization, Dawn’s Daughter is always in need of donations to keep its programs going. Please consider sending a donation to: Dawn’s Daughter, Ltd. P.O. Box 6501 Savannah, GA 31414. SAVANNAH, GA: Members of the local community organizer coalition, The Political Rascals, have been invited to speak at the national Netroots Nation 2018 conference in New Orleans. Panelists and representatives include Amanda Hollowell, Moncello Stewart, Molly Lieberman, Edy Gresham and Coco Papy. Their proposal, Moving the Ball Forward in the Deep South: Why What Works in Your Town Don’t Work in Ours, was selected out of 300 proposals and will be one of the main events at the three day conference. 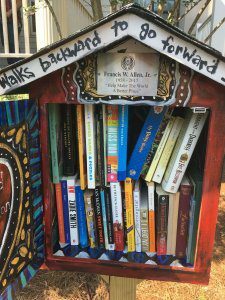 The group will represent Savannah at the event and help work to bring national attention to the different forms of community organizing happening on the ground, as well as how place-specific strategies are a must. Netroots Nation is a political convention for American progressive political activists. For more than a decade, Netroots Nation has hosted the largest annual conference for progressives, drawing nearly 3,000 attendees from around the country and beyond. The Political Rascals are now calling on the community for help and have launched a fundraiser to help offset the costs which can be found at the Send the Political Rascals Campaign here. The group is also hosting a public fundraising event, Pass the Hat for the Rascals, on Tuesday, June 26th at 6PM, featuring Laiken Love, Loop It Up painting activities and food and drink. Venue to be announced shortly. Donations are not tax-deductible, a sweet surprise from #TeamPoliticalRascals is promised. For more information or to donate to their campaign, visit the campaign fundraiser. To attend the fundraising event Pass the Hat For Political Rascals, visit the invitation here.